A heartfelt and genuine reminder of the special connection we share with our beloved animal friends. 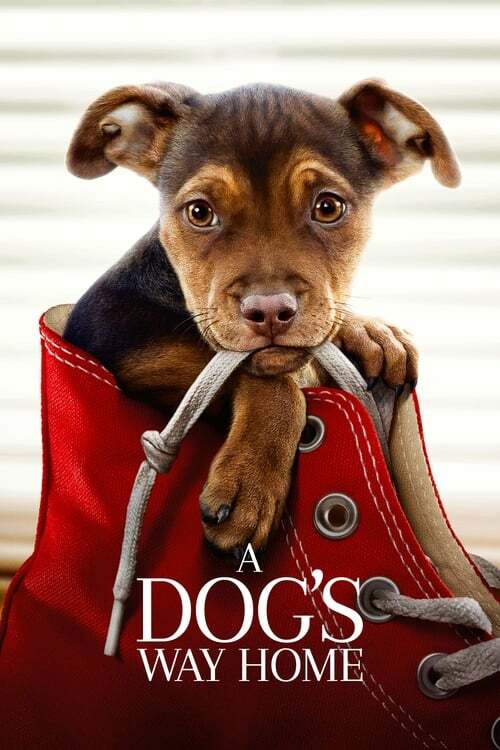 A Dog’s Way Home is based on W. Bruce Cameron’s novel of the same name, with content he’s quite familiar with (he also wrote A Dog’s Purpose). With a cast of humans that include Ashley Judd, Edward James Olmos, Chris Bauer, Barry Watson, and Shelby the Dog as Bella, voiced by Bryce Dallas Howard (Jurassic World, The Help), it explores the incredible and often mysterious bond between Bella and her human, Lucas (Jonah Hauer-King, Little Women, Ashes in the Snow). As an animal lover, Lucas comes to abandoned building lot every day to feed a bunch of stray cats. One day, a puppy races out from under the building and right into Lucas’ arms. They instantly fall in love and although Lucas’ landlord doesn’t allow pets, he brings the adorable puppy home for his mother (Ashley Judd) who is suffering from depression and PTSD. Yet, it’s the bond between Lucas and Bella that makes the movie worth watching, especially their nightly ritual where Lucas gives Bella a tiny piece of cheese that makes her feel like she’s safe and loved. Things get tough when Bella gets separated from her family following a city-wide pitbull ban, but her love for Lucas makes her take matters into her own paws. She uses a slide to help get over a tall fence and make a break for it so that she can “go home,” just like Lucas taught her in case she ever got loose. And so begins Bella’s incredible 400-mile journey from New Mexico to Colorado, traveling over treacherous terrain, frigid cold nights, mountains and encountering wild animals. Despite the hardships she endures, Bella remains determined to “go home” and be with Lucas and her family again. While A Dog’s Way Home is a family friendly film, it’s actually more of a timely political story with a strong statement against wild game hunting, pitbull bans and animal cruelty in general. The scene where the awful shooting of a female mountain lion is celebrated by its poachers (Troy Rudolph and Gregory Tunner) with laughter and posing for pictures with the dead animal leaves viewers saddened, but it’s not until we see the orphaned young cub crying for its mother that we realize the severity of the situation. Having been raised in part by cats after her own mother and siblings were violently removed from their den by animal control in the first scenes of the film, Bella understands how this “Big Kitten” feels and takes the cub under her wing, protecting her, until a powerful moment when Bella finds herself in dire need of help when she is surrounded by a pack of wolves. The film spans over two and half-years. During that time, Bella matures from an innocent puppy into a well-mannered and well-traveled dog who is forced to learn how to hunt for food and defend herself in the wild against animals she never even imagined exist, like moose! Filmed in Vancouver, A Dog’s Way Home features beautiful scenery and a moving story that sometimes drags but quickly finds its way again. Director Charles Martin Smith is no stranger to creating similar fare like Air Bud, Dolphin Tale and Dolphin Tale 2, and his love of wildlife shows in the gentle and loving way he portrays them throughout the story. A Dog’s Way Home compares favorably to one of my all-time favorite animal movies, 1993’s Homeward Bound: The Incredible Journey. In this film, though, the only “voice” we get to hear is Bella’s. While her thoughts and perspective are interesting and entertaining, I found myself longing to hear the thoughts of the other animals she encountered, even if the book only shares the voice of Bella as well. Despite that small disappointment, I felt all the animals’ emotions were portrayed well on screen, and the friendships Bella makes throughout her adventure were palpable and meaningful to her geographical and emotional journey. As a fellow animal lover (and animal movie lover) I absolutely loved A Dog’s Way Home, and wouldn’t be surprised if it became this generation’s Homeward Bound. The heartfelt relationship between such a lovable dog and her worried human is one most of us can relate to, and watching Bella overcome many of the hardships and obstacles to “get home” is a reminder of the special connection we share with our beloved animal friends. While there are a few scenes that might be a little scary or too intense for younger viewers, this is definitely a movie the whole family will enjoy – and enjoy watching together.